Now that Black Friday’s over, you’ve got Christmas to look forward to! So if you haven’t started your Christmas shopping yet Your Baby Club are here to give a helping hand with the best deals and offers for all things gifts, presents and more! From a FREE spend at Mamas & Papas to a Johnson’s £50 hamper, you’re bound to find the perfect product for your little one! Better yet, there’s also a luxurious Caudalie Christmas bundle up for grabs! FREE £15 spend at Mamas & Papas! WIN a luxury Christmas Beauty Bundle – worth over £100! Luxury French skincare brand, Caudalie, has teamed up with Your Baby Club to offer you a chance to win the ultimate pampering gift, worth over £100, this Christmas! Bursting with skincare and body essentials from this year’s Christmas collection, you’ll have everything you need to keep you nourished this winter. Simply enter your details for a chance to win! Good Luck! 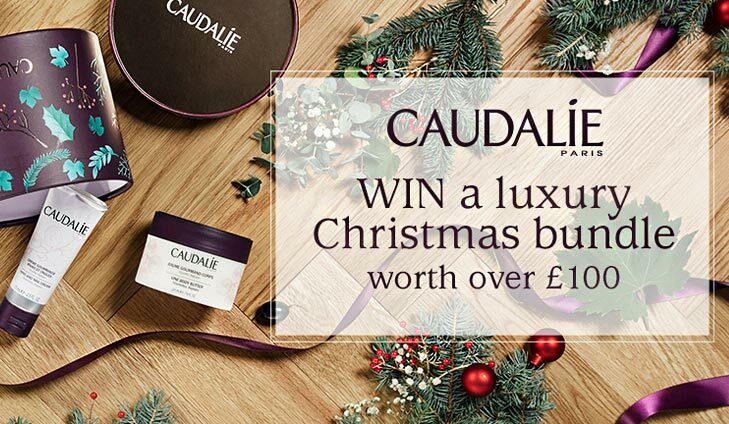 For your chance to win a Caudalie Christmas bundle simply click below. FREE 3 month membership from tastecard! Getting together with the family has never been easier this Christmas! tastecard is offering exclusively to Your Baby Club a FREE 3 months membership with an annual membership renewal of only £34.99 (RRP: £79.99). Enjoy 2 for 1 or 50% off at over 6,500 restaurants across the UK and ROI, there really is something for everyone. To get your free tastecard simply click below. 12% OFF at JoJo Maman Bébé – sign up now to be emailed your code instantly! Launched in 1993, JoJo Maman Bébé offers adorable baby and children’s clothes, stylish maternity wear and a wide range of nursery products, gifts and toys for the 0-6’s. JoJo is the perfect place to shop for parents, grandparents and mums-to-be.Try JoJo for yourself with 12% off plus Free Delivery (£35 min spend) – we’re sure you’ll love us. To save up to 12% with Jojo Maman Bébé simply click below. WIN 1 of 10 Johnson’s hampers worth £50! Enter now for your chance to win 1 of 10 Johnson’s hampers worth £50 and save £25 every month on your favourite brands including Johnson’s Baby, Aveeno, Listerine & Neutrogena with exclusive coupons and offers! For your chance to win 1 of 10 Johnson’s hampers simply click below. For your free photo experience simply click below.